A few years ago, on a visit to the USA I was bemused to occasionally see groups of women wearing red hats – perhaps in a shopping centre, at a cinema or in a restaurant. Intrigued by this odd phenomenon, I inquired about who they were and why they were wearing red hats. I was informed that they were ‘Red Hatters’. As her friend was celebrating a birthday in November 1997, Sue Ellen presented her with a copy of the poem and an old red hat that she had bought second-hand some years earlier. Her friend was thrilled to bits with this unusual gift, so Sue Ellen repeated the gesture for several more friends. They eventually decided to go out for tea as a group, wearing their red hats and in purple dresses. And so the Red Hat Society was born. Their strange attire attracted coverage from newspapers, magazines and television and by 2002, just 5 years later, they had 40,000 chapters worldwide. In 2005, the Red Hat Society even featured on The Simpsons, when Marge Simpson joined up! They had truly ‘arrived’! 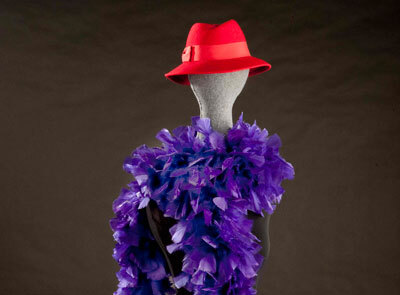 In 2010 the original red hat and a purple boa given by Sue Ellen to her birthday friend were donated to the Smithsonian Institution National Museum of American History in Washington D.C. where they are now on display. Donated by Founder of Red Hat Society. The Red Hat Society is now one of the largest women’s social groups in the world, offering friendship and fun while celebrating life and the role of mature women. 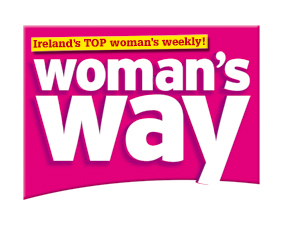 They have managed to change the way society views women of a certain age and they promote a positive outlook on life and mental and physical well-being among their members. They are ‘Over Fifty and Fabulous’ indeed! Today I discovered a really good site that may be of interest. 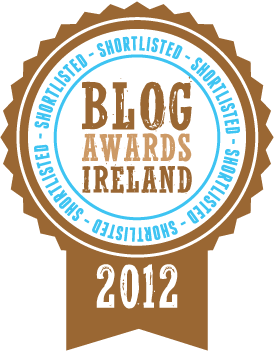 Seniorsforliving.com list their choice of sites from the 100 top Seniors Blogs and Websites. It is good to see the range of topics that are of interest to the mature generation – healthy living; stories from travellers;thoughts on growing old gracefully;the joys of grandparenting; loads of good humour and a wealth of other good reading. The striking thing about these blogs is that the authors are almost exclusively in North America, where of course they have blazed a trail on joining the cyber society, with a home computer being almost s common as having a domestic refrigerator.. I will post relevant links on this blog from time to time so that you do not have to go searching in Google to find something that will make you smile, something to challenge you, something to give you hope or to reinforce your own views.